Free iPad app Office Bleepster has been updated to version 2.0, representing improvements in handling office interruptions through organization-wide communication channels and pre-scripted messages. 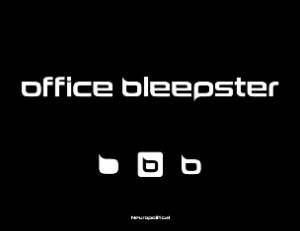 Office Bleepster uses wifi networks, Bluetooth, and Twitter to connect users around the world. The new release also now supports background notifications. Office Bleepster comes with 25 pre-made instant messages representing questions and replies accessible with a single button press. Message notifications take the form of any of 30 sounds with custom “bleeps” easily programmable by users. With single button communications capabilities, information exchange is discreet while offering users the ability to construct longer text messages when the need arises. In this way, the new tool avoids interruptions while providing faster communications for a wide variety of situations.